Due to her boyfriend’s exploitation, Lucy is accidentally involved in a drug deal. A bag of new and powerful synthetic drug is forcefully inserted into her body to be transported to other place. When the drug leaked out from the bag, a strange reaction occurred in her body and she started to gain more access to her brain capacity beyond what a usual human could. - Intriguing Sci-Fi plot on how humans would become if their brain potentials are unlocked. It’s amazing to witness the works based on the writer’s creativity and imagination. - Scarlett Johansson! She has a lot screenplay time in this movie and has played her role convincingly well from being a timid Lucy till become a super-powered Lucy who becomes less human-like. Thumbs up for her impressive acting! 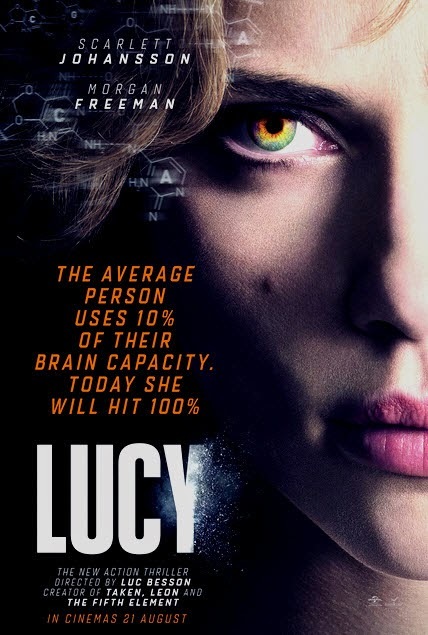 - Percentages are shown as Lucy unlocks her ability one by one. It’s easier for the audiences to keep track to her progression. - Ending scene has successfully left an impression for the audiences and left them thinking and interpreting the meaning of the final moments. - A lot of cool and well-choreographed scenes in the scene. I especially love the driving scene! - Flow of the movie is often interrupted by too many documentary footages which might not be necessary. - Other cast members felt like extras. Even Morgan Freeman’s character felt like a cameo appearance. - Cheesy scripts and lines made some scenes laughable despite them supposed to be in darker/deeper mood. - Inconsistent visual effects quality and sound effects which do not harmonize well with scenes. - Overpowered protagonist outmatched the villains making it less thrilling. Nearly 1 and a half hour full of Scarlett Johansson! She’s everywhere! A sweet treat for Scarlett Johansson’s fans! 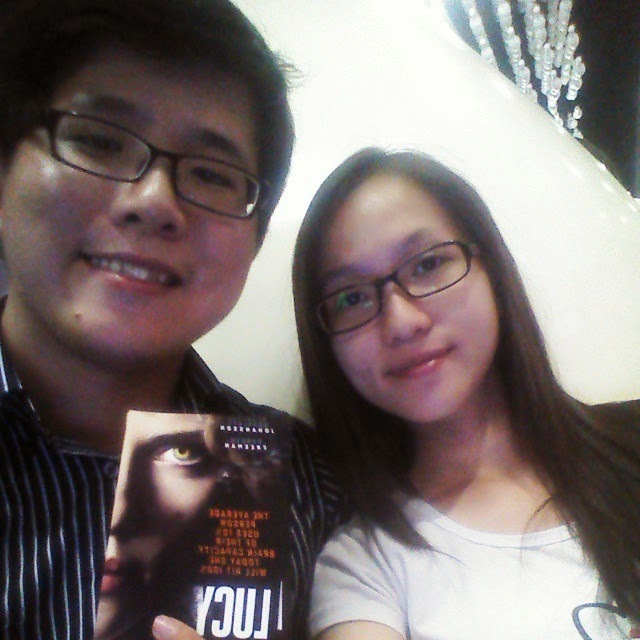 Me (WLJack) and my girlfriend (Jose Yap) reviewed the movie Lucy (2014)!